Space tower is one of most practical solutions implemented in modern kitchen furniture. 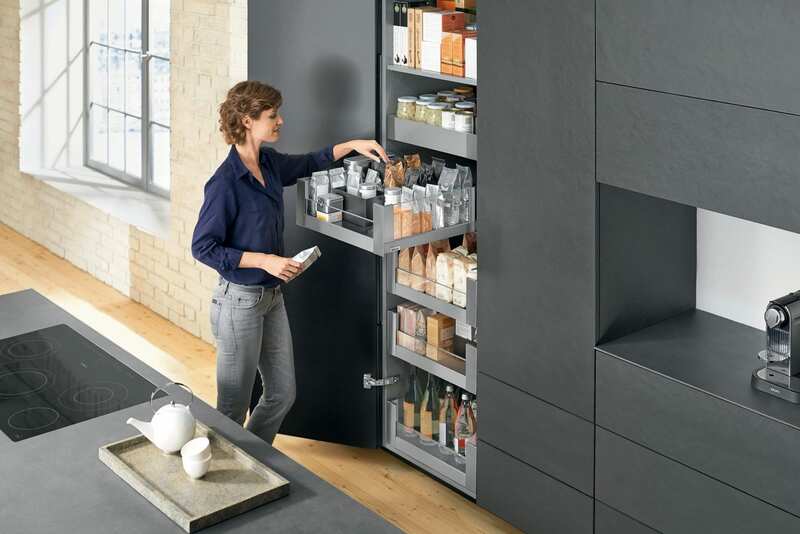 It combines the capacity of tall lader cupboards and functionality of drawers. Following the trends and upgrades in the furniture market, JS Deco can install this kind of solutions in furniture designed and manufactured for our customers. Each pull-out gives you clear visibility from above. Provisions can be found quickly and removed with ease. This clever cabinet makes optimal use of the storage space available. Provisions can be kept together and clearly organised. To see the space tower in daily use please watch the video. To see more available solutions please visit our component department.